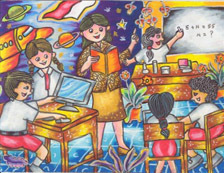 The Southeast Asian Ministers of Education Organization Secretariat (SEAMEO Secretariat) and the SEAMEO Regional Open Learning Centre (SEAMEO SEAMOLEC) would like to congratulate all awardees for their excellent drawings and express appreciation to all Southeast Asian students who participated in this competition. Appreciation is also extended to SEAMEO Regional Centres, schools and teachers who contributed and supported this competition. 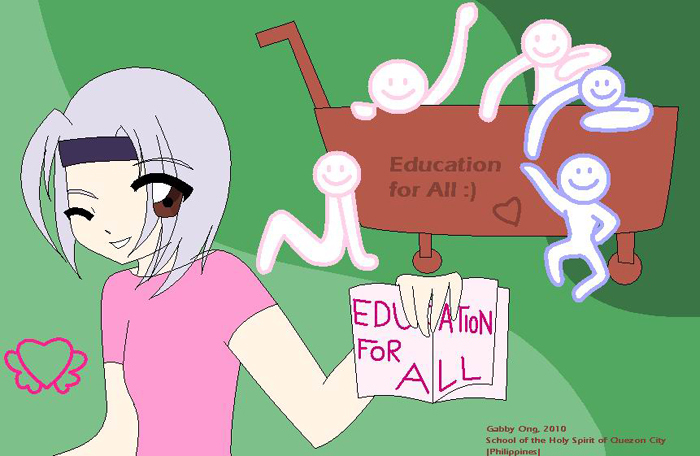 "Everybody has the right to obtain education. I am really sure that everybody, every child in the world has the spirit of learning. I believe that all my friends whose live in the remote area, who have special needs because of their disability, poor family, etc. can study or learn many things. They can learn on their own place and at flexible time, for example, they can study in their garden or after helping their parent's job. 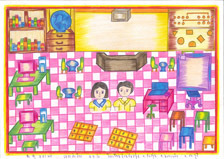 They can also learn something while playing, such as children can learn to count by playing traditional toys. 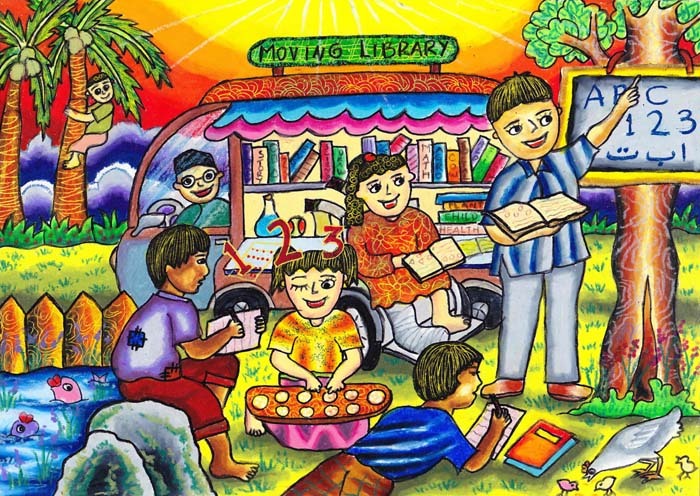 Another facility that can reach the unreached people is a moving library. It is a car/mini bus that brings many kinds of book, toys, science kits, etc. This amazing car will really help and reach the unreached people. If they have education properly, their lives will improve." 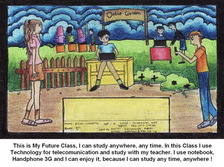 "I am Goh Wern Sze, a 13 year old student from Malaysia, would like to convey my thoughts to everyone including SEAMEO. Everyone in this would have their own wish. My wish is to travel to overseas to help the adults, children and orphans who are living in remote areas.I am sure that they need education to earn a living. Therefore, I would like to build a spacious house for them to cater their learning.That will be the place where everyone studies. Some of them may be disabled and I will educate them patiently. 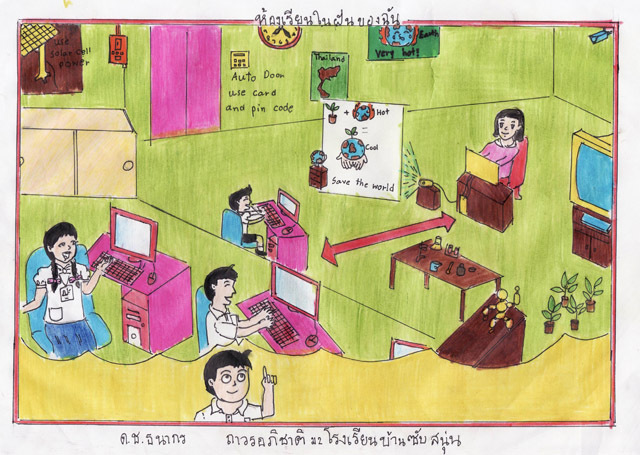 Others may come from poor families and they are not exposed to technologies, so they have to spend some of their time to learn how to use the computer.Some of them may have to help their parents by working, so they are not wealthy and I will use objects around to teach them how to count. Others may have diseases difficulties and I will educate them with full care and kindness.Last but not least, I hope that each person in the world would contribute and lend a helping hand to those who really need help. Thank you." 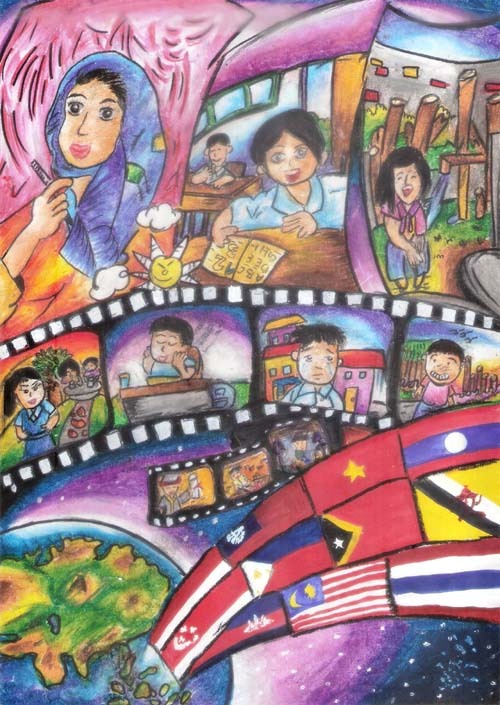 "The illustration I have drawn shows how the children from different ASEAN countries can reach their goals in life even in time of hardship. 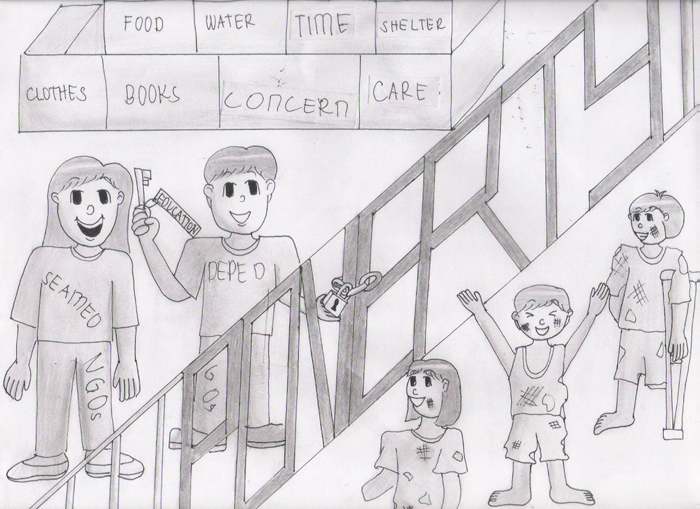 Education serves as their stairway to success. 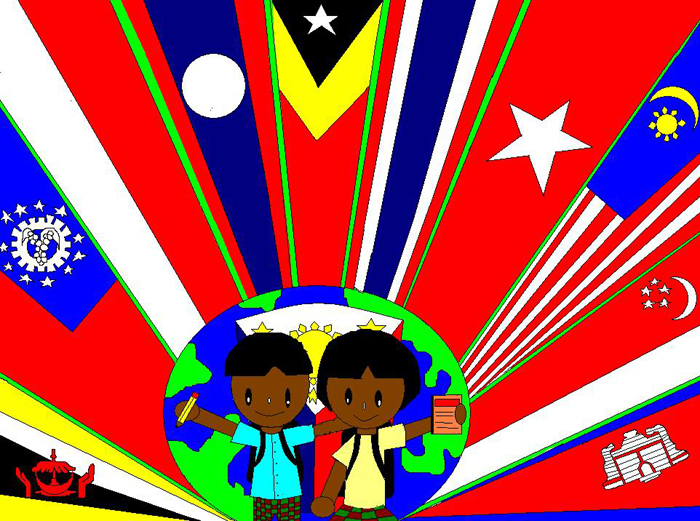 The flags signify the different SEA countries that take part to help create a foundation to make their dreams possible.Behind these flags is an organization known as SEAMEO which guides and assists the students to achieve educational competence which is symbolized by the big books. This competence will serve as their tool for them to be globally competent individuals." 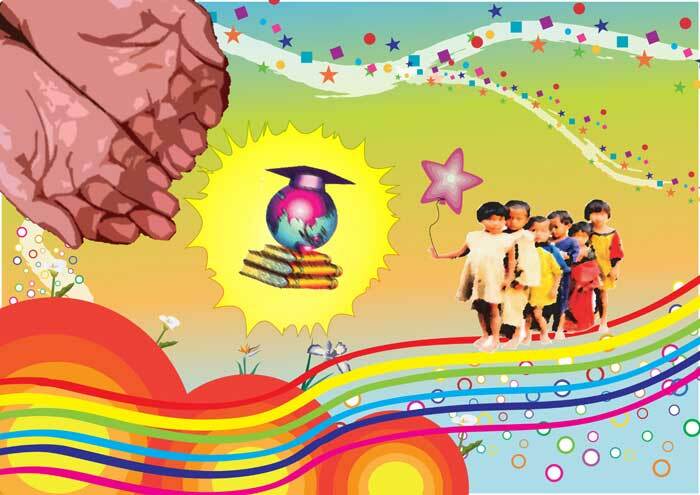 "Education is important to all children including disadvantaged children. The disadvantaged children should have the same opportunity to access to education. Even they are poor, handicapped and from minorities, but they still want to go to schools. 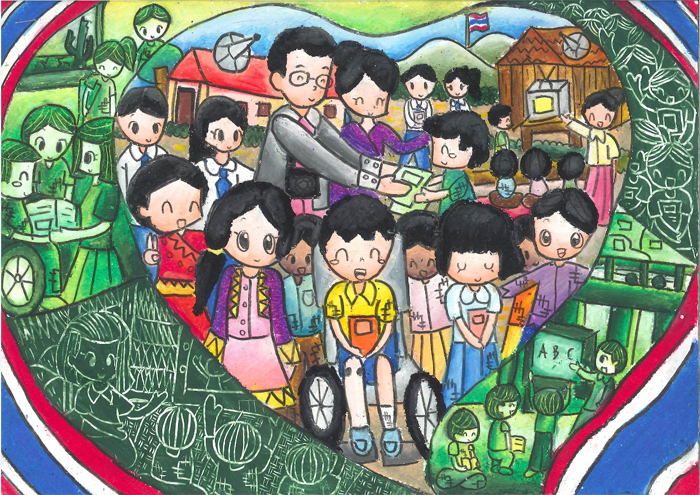 Particularly, handicapped children who have difficulty to study and go to school but schools should provide equal opportunity and support them." "These children represent the millions of other children who do not have access to any kind of education. Deep in their hearts, they have big dreams, too. And each day as I pass by these kinds of children, their eyes seem to say, "over here...".They are right there, and need help to bring their dreams a little closer to reality by means of education"
THEME: "My Ideal Classroom in the 21st Century"
SEAMEO Secretariat is pleased to invite schools under SEAMEO Community Involvement Programme of SEAMEO Centres to participate in the SEAMEO Hand Drawing Competition 2009. 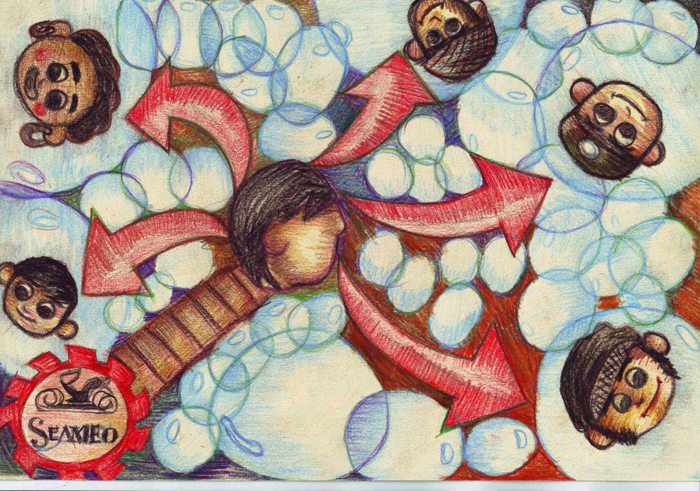 Drawings of successful entrants will be printed in the New Year card and SEAMEO notepad. 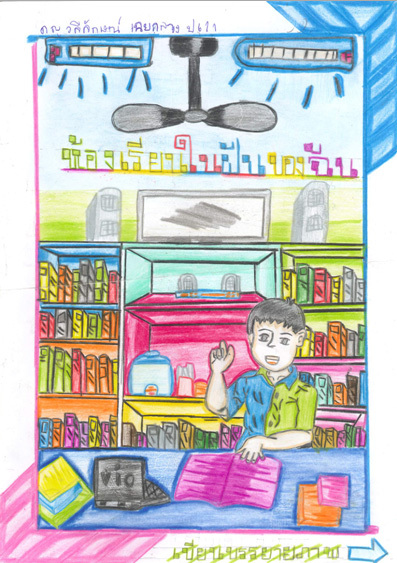 SEAMEO Secretariat would like to congratulate all awardees for their excellent drawings and express its appreciation to all students who participated in this competition. 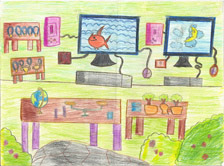 Appreciation is also extended to SEAMEO Regional Centres, schools and teachers who contributed to this competition. 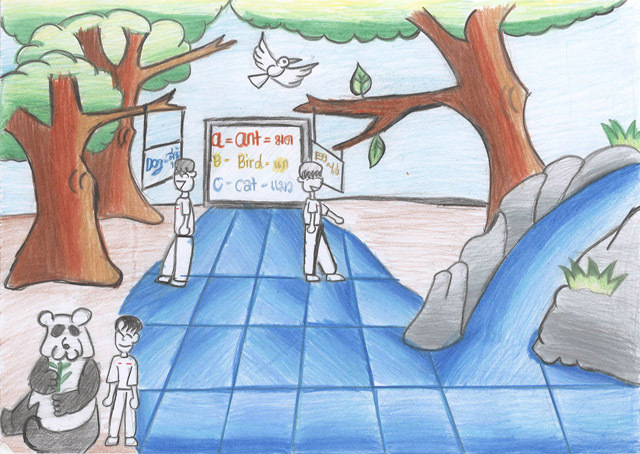 ...so this is the picture of my hope...my dream classroom"
"I wish classroom climate that integrates with nature"
"I wish my classroom will be a hi-technology and saving energy classroom. and computers which save energy and are not dangerous to our health. Each student will have 1 computer and we can submit our homework to teachers by email. The electricity in our classroom is produced by solar cells. I love to put small trees and flowers, planted by students in the classroom. 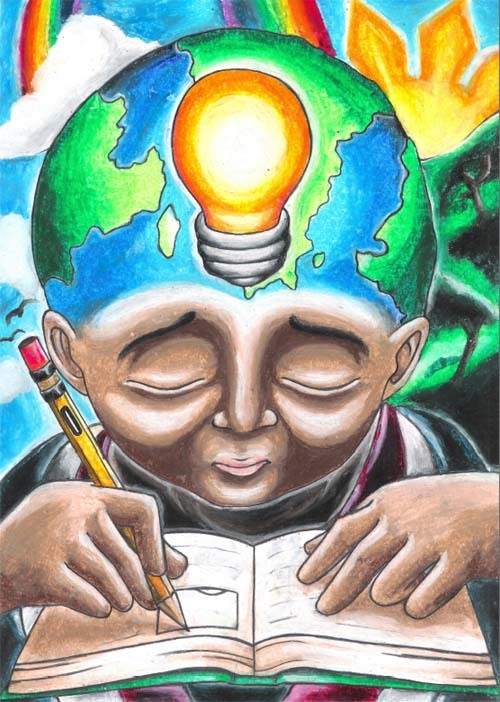 This is to help our earth"
"Education is life - the answer to our aspirations and dreams. However, for the lessfortunate, orphaned, disabled, those who live in remote areas with no school and ethnic minorities children, education is an unreachable dream. But through the help of the government and non-government organizations, together with dedicated teachers, education will now become obtainable to everybody. They give light to every child's hopes and make a way to their fondest dreams." 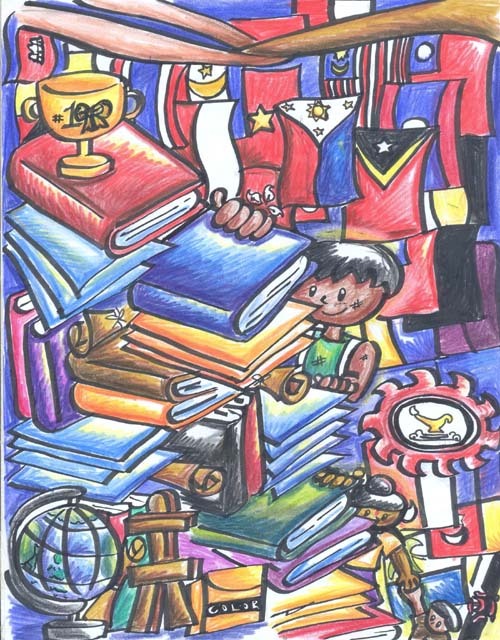 "The drawing shows how people in the community-academe and stakeholders work hand-in-hand to reach out the underprivileged people especially the poorest of the poor.The open book and the torch symbolize that education is for all -- mandating the authorities to reach the unreach and give what is due to the people especially the unreached because of poverty and enjoy their basic rights to education." "Your children get only one childhood, know their dream, guide them to be success in their future with proper education." 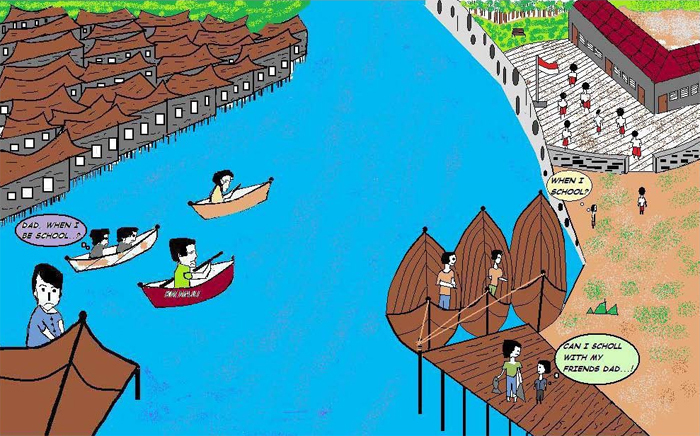 "The girl is very poor but deserving aims to attain education and have a better life.The bridge represents trials and sacrifices that come along the way. Every child should have a better outlook in life." 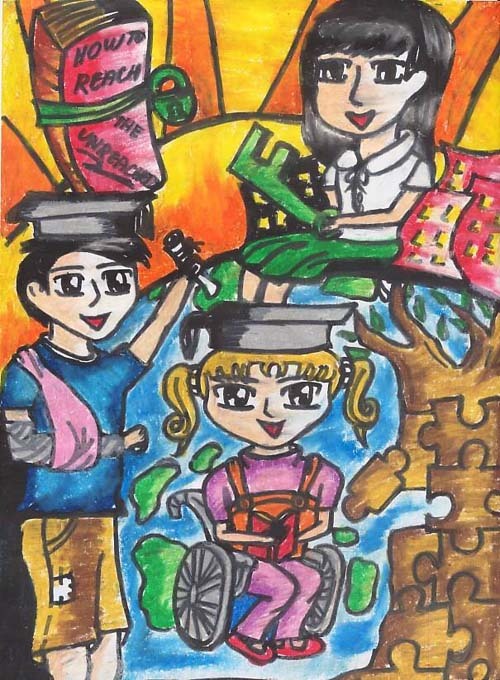 "In my drawing, it shows that person have disability to achieve their goalsas they can have the education and can graduate. The girl is holding the key represents me and other student. Because I believe that all of us has the key to help the unreached people on education they need." "No matter what is the condition, children must have spirit to study... No money to buy doesn't mean stop from study. See to this young boy. On his age, he needs to work hard in order to help his poor Parents getting money just to buy some food for their family. During the rest time, he always the opportunity to read the book that he found from the garbage Catch the Spirit....!" 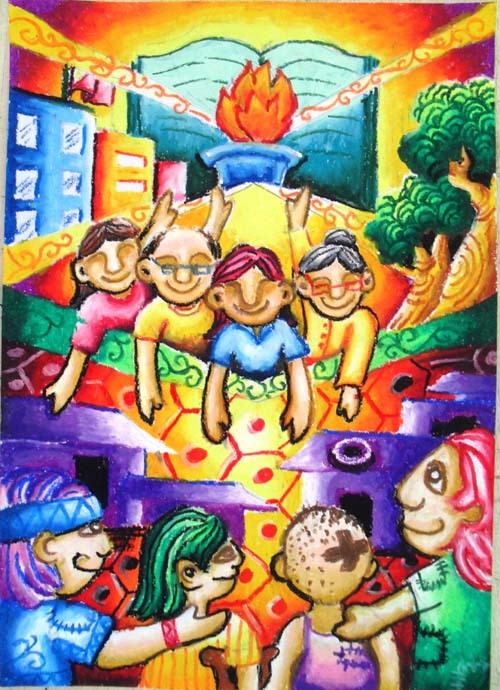 "The artwork shows happy children of different skin color representing the different nationalities of people from the Southeast Asian Region. 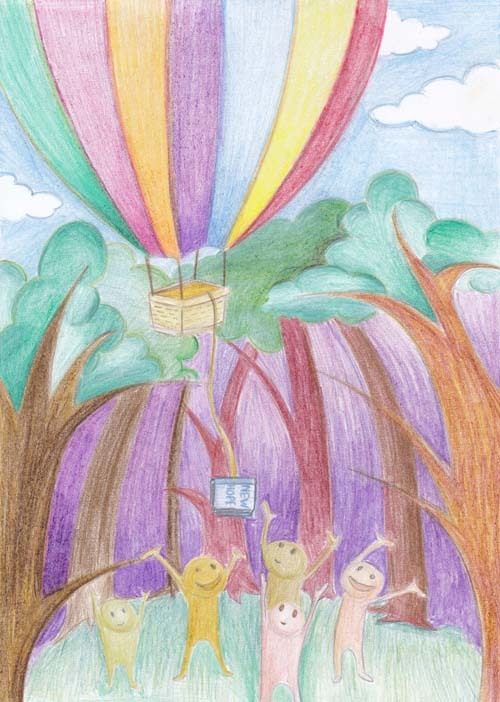 The hot-air balloon delivers a book entitled "New Hope". The book represents education. 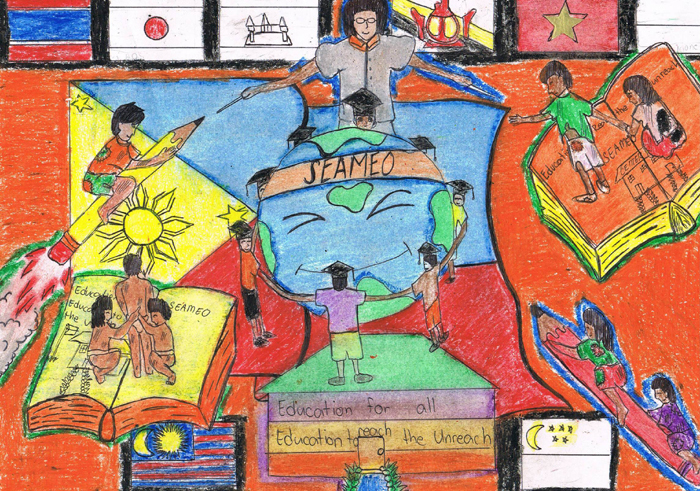 The hot-air balloon represents SEAMEO and other organizations that share the idea of addressing the educational needs of the people that remain to be unreached. The happy faces of the children with arms stretched outwards show that they welcome the idea of being educated. The forest represents the distant and hard to reach places." Title: Where will the Eagle Rest? "A brave eagle seeks for a nest where it can rest. A nest that will be its home for sometime. A nest that will benefit from what it carries. Where will the eagle rest? Is it in the nest of indigenous people or disabled ones? Is it in the nest of men who lived their entire life surrounded by firearms and water? Is it in the nest of homeless beings or people in the midst of poverty? But the eagle will surely rest in each nest, since it can really reach nests that others can't reach." 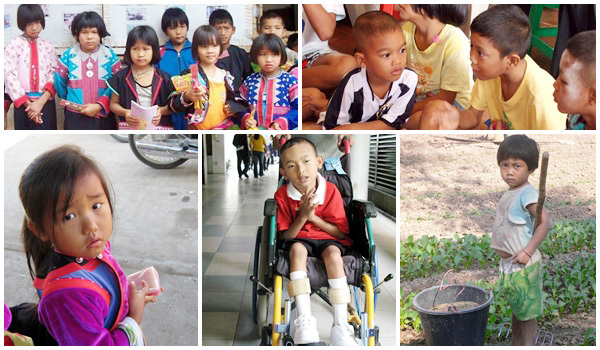 "The children who are poor, disabled and ethnic represent the unreached population. The image of the lawyer, doctor and pilot, as well as the diploma and mortar board symbolizesthe achievement of dreams through quality education. The blackboard and book are symbols of education. The book and its pages which resemble into a ladder imply to be the pathway towards quality education and achievement of dreams. The running motion of the children, towards one direction demonstrates the oneness in striving for excellence in education. The whole is a dynamic picture which applies equally to the unreached groups to the fortunate ones and to each one of us.As we all must work towards the achievement of SOCIAL CHANGEfor the betterment of the society through QUALITY EDUCATION"
"Poverty like a gate way close to stop poor children from going to school. 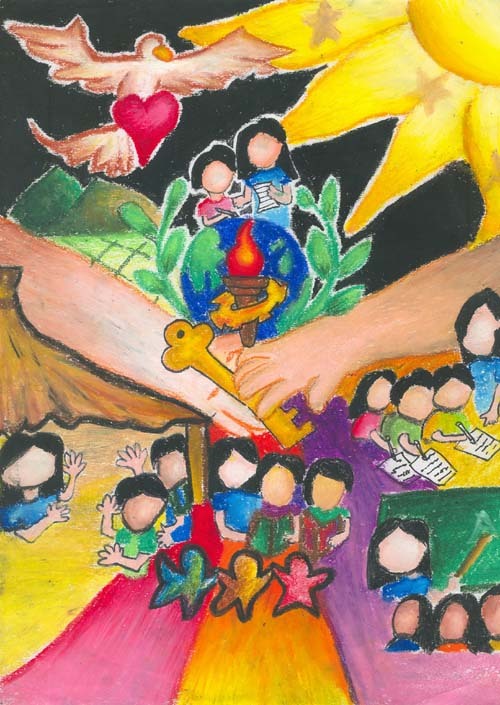 But the key of education can open it to a wide range of civic services (like Non-Government Offices (NGOs) and Government Offices) that donate books including food and clothing and teachers who brave the rain and the heat of the sun to Reach the Unreached Childrenin the poverty stricken areas in the Philippines." 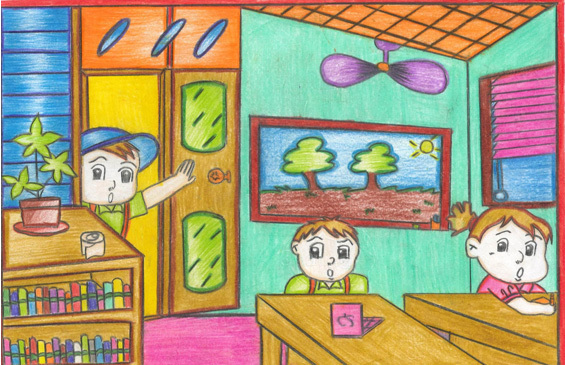 "My drawing is about the less fortunate children in the Philippines who dig the garbage everyday in order to have something to eat. They wanted to go to school but they can't because they have to work hard to feed their hungry stomachs. 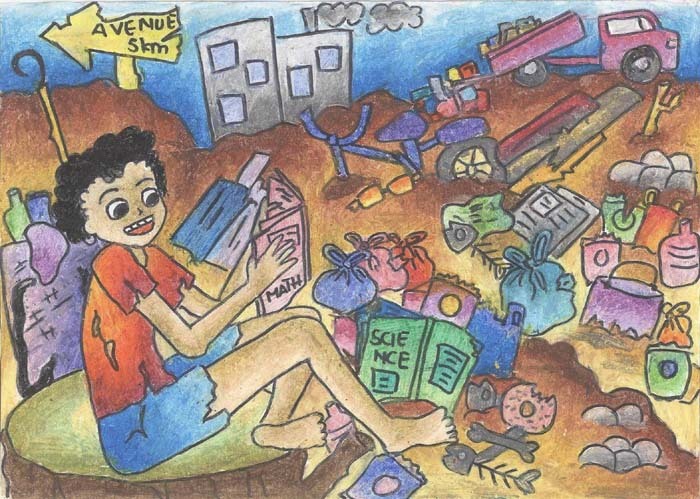 The girl in my drawing found hope when she saw a book dumped among the piles of garbage. For her, it was a big treasure!" "Education is for all. We need to work as one to achieve the goal of everyone to have a better future.And the only way to do this is to develop graduates. 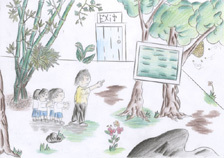 The drawing shows that we need to help other unreached children like orphans, ethnic minorities, and others to be in school in order to read and write. We need to feel them how is education very important to one's life." "In every cycle, one has a role to portray. 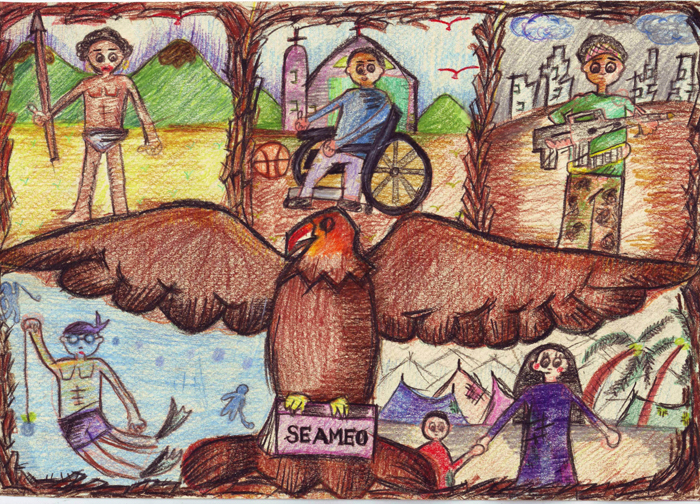 SEAMEO as the producer, a vital part of the cycle, source of knowledge and information. A hollow mind as the consumer, an empty cell that is in need of education. Different people and races, representations of the consumers. All willing to learn, to be guided and to be educated." "Light spreads and scatters in almost every corner of a place. It brightens and makes a place clearer. Let Education be like light. Extend education to reach to every part of the world. Educate all the children. Reach it out to the less fortunate people in the remote areas. 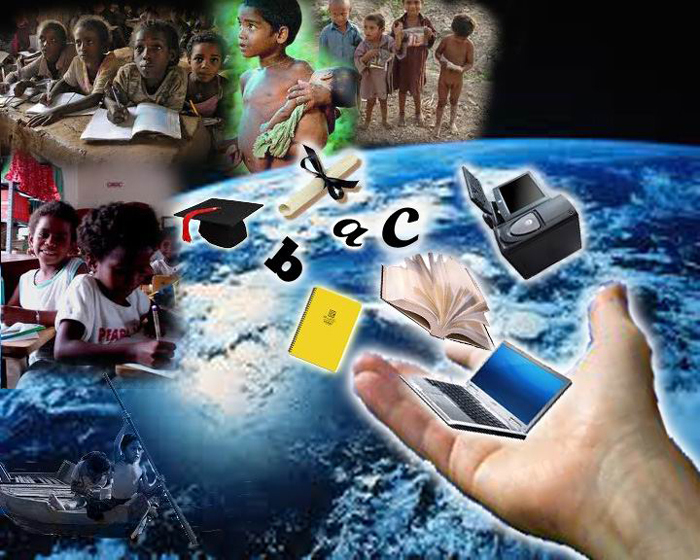 May education be scattered like a light shining and reaching every part of the world, reaching the unreachable." "Yes indeed! To reach is to sacrifice. To reach the unreached is through Education. Education can help a lot to reach our goals. 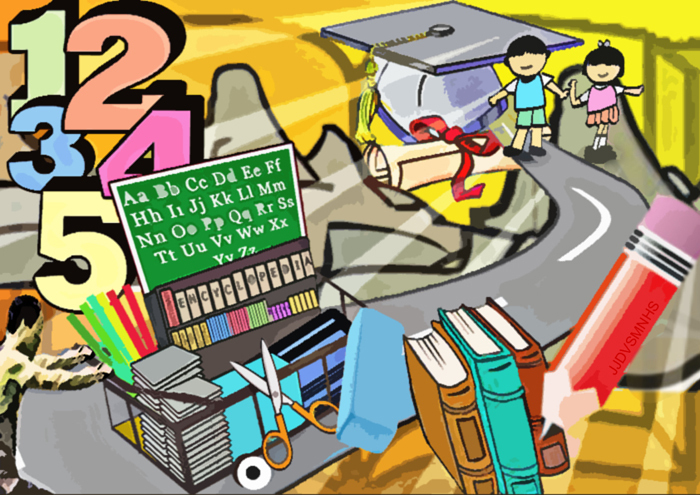 How to have Education? 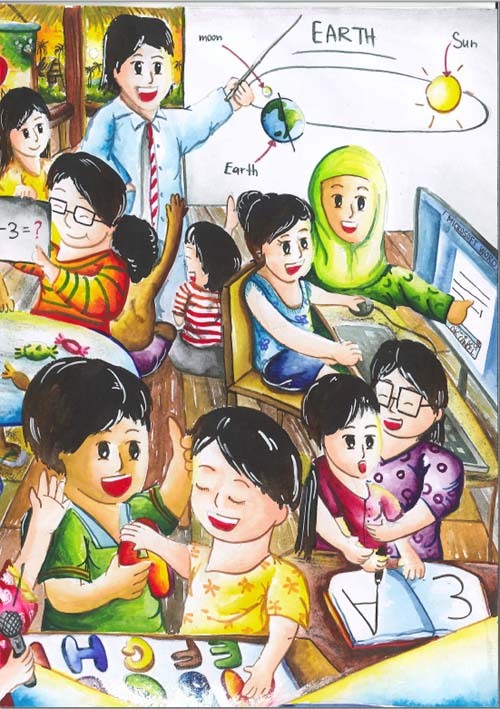 We simply go to school and have classes but we need a support like SEAMEO that promotes Multi -- cultural education this includes promotion of mother tongue language. In classes, we learn many lessons. Lessons can be gained through the effortful teachers.We had our Education by them. Without them, we can't have Education. "Education is the key to success". One of the famous quotes of the generation. To educate is to know things. If we are educated then we could probably reach our goals, the unreached. Education is very important to us and it is a fact. We all know that poor ones can never reach their goals. 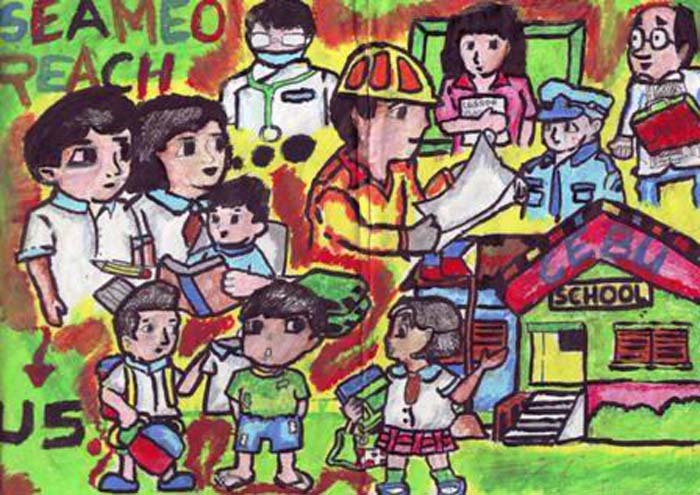 In fact, many children want to be educated and for them there's no hope to reach it, but SEAMEO helps in assuring quality education among ASEAN members. We are all blessed because we had our Education even in high school level only. This is the only asset we have to reach our goal, to have our goal.So let us thank God for everything and even through I don't have much knowledge but at least I have my "Education, to reach the unreached". Thank you SEAMEO for reaching Cebu...."
"We can never deny the fact that education is the best way for us to grow or develop as a nation. 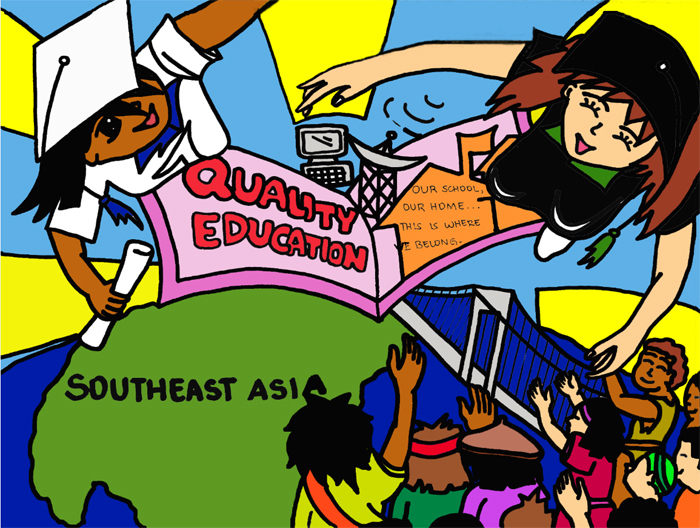 In my drawing I want to emphasize that education should be accessible to all most especially to our brothers and sisters in far flung or remote areas. 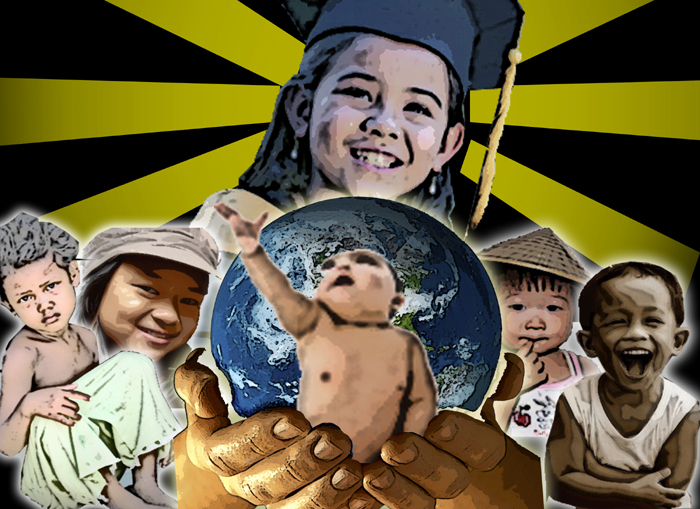 They should be given the best education like anyone else in the world.The government is the key player here together with the Government Organization and Non-Government Organizations. 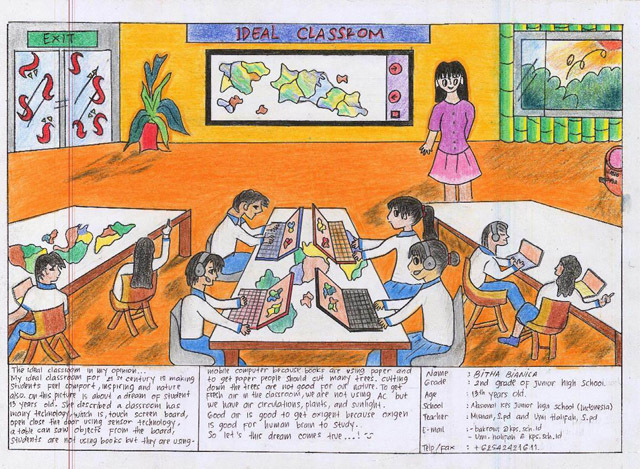 In order to be successful in the endeavor cooperation, bayanihan, and spirit are needed.The learners should also show much interest in learning because they are the clientele in this project. They should be aware of the importance of education in the development of the minds and lives, and the key of productive lifestyle." 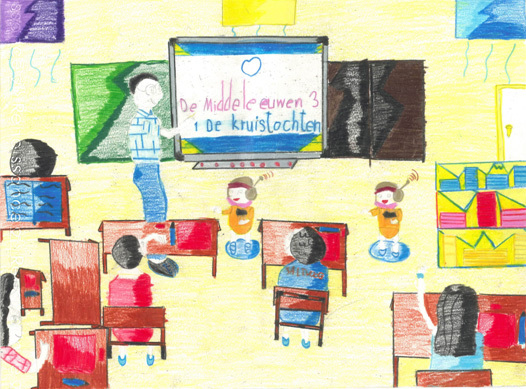 "My drawing presents that knowledge means light of opportunity for disadvantaged children which will lead them to the right track for their bright future"
"Wherever we live...on the top of the mountain, or at the border of the country,education is the most important thing that all children need. 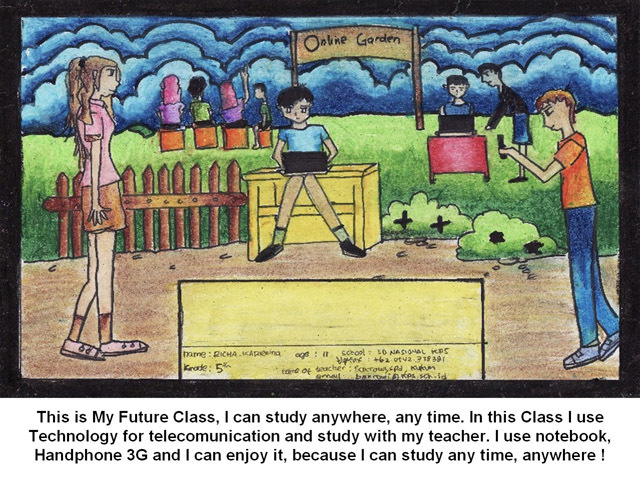 Through technology, education can reach those children." 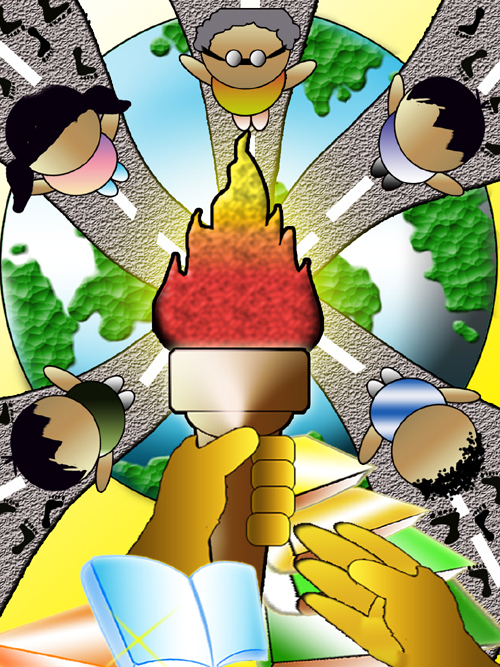 "The huge colorful torch symbolizes education that lights the pathways going to the group of illiterate people for them to attain a quality education.The books are the rich source of education that can be achieved by every individual such as adults, children, disabled, unfortunate and other group of people with difficulties situation. The lighted path serves as a route to deliver education to unreached populations." 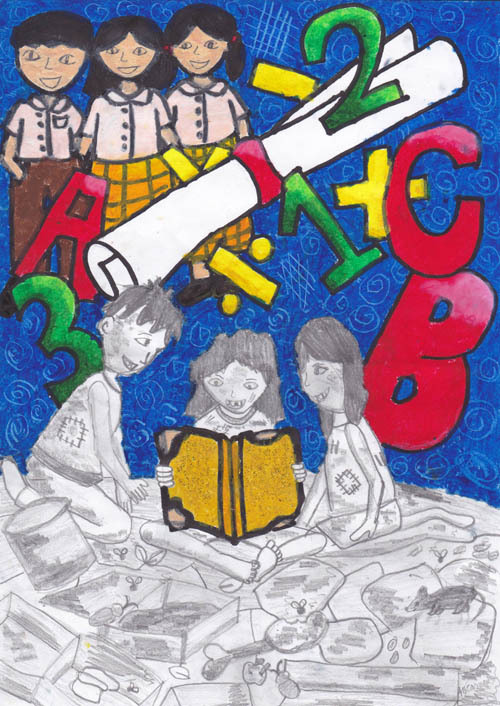 "It is a collage featuring the Filipino children seeking for quality education which is given by good people like Efren Penaflorida." 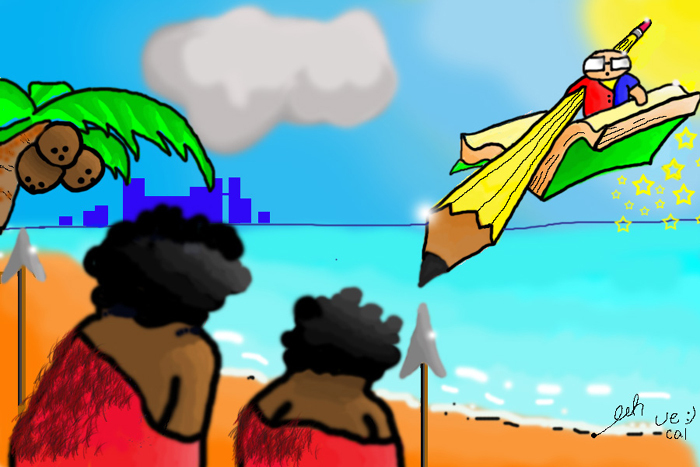 "A man from a city rides a book towards an unknown island where illiterate people live." "Man was given the ability to teach and consequently to learn, we can see teaching-learning takes place everywhere - a mother teaching her daughter the basics of sewing, a father teaching his son house repairing andin my case an auntie teaching her nephew the fundamentals of integers and numbers. Truly learning is vital and essential in our very lives. 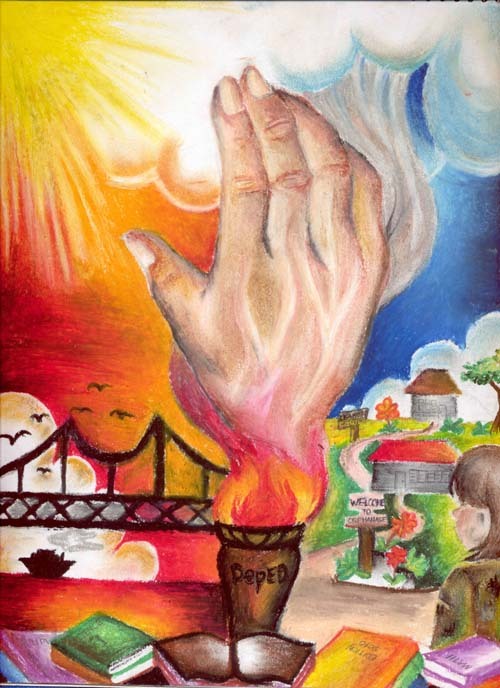 My artwork is a mosaic of ideas emerged from everywhere; A reaching hand symbolizes our ways of reaching those whose unfortunately lacks of the basic needs in education. Children are amongst the victims of such deficiency, such children whose due to demographic location hinders their learning in schools. Among such location are the seaside, the mountains and any other remote areas. 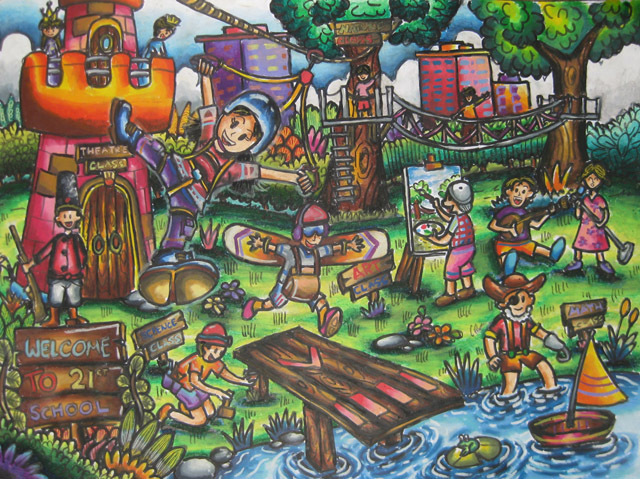 In my poster, I crop the picture background for them to be emphasize,I color blend one of the pictures for it to goes well with its background. And finally, I managed to put an outer glow to the most symbolic part of the poster the hand and all things about learning. 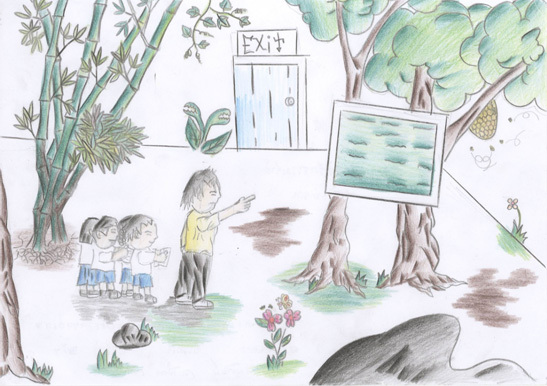 I maybe too happy if my poster will be chosen to promote the program to reach the children with lack of education...Thank you!" 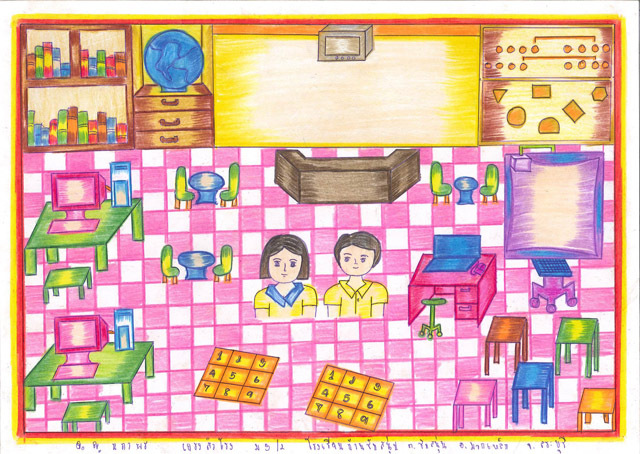 "My drawing focuses on children in Southeast Asia. They are hungry for accessible and quality education. I used the color yellow to present hope. The rays of the sun symbolize better and brighter future. 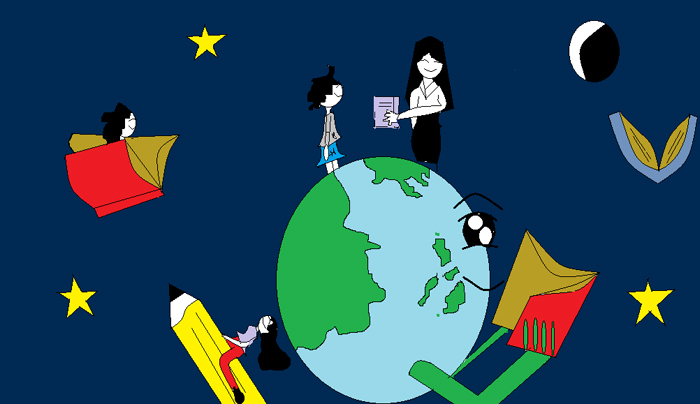 The globe represents the continent in Southeast Asia. The blue color of water symbolizes peace." "Life has been so difficult these days and mostly, there are times when we had thought of wishing life would be much easier. But if only we had realized, Life is so easy and would surely achieve the goals we desire if we only had this one thing that no one could ever steal Education. 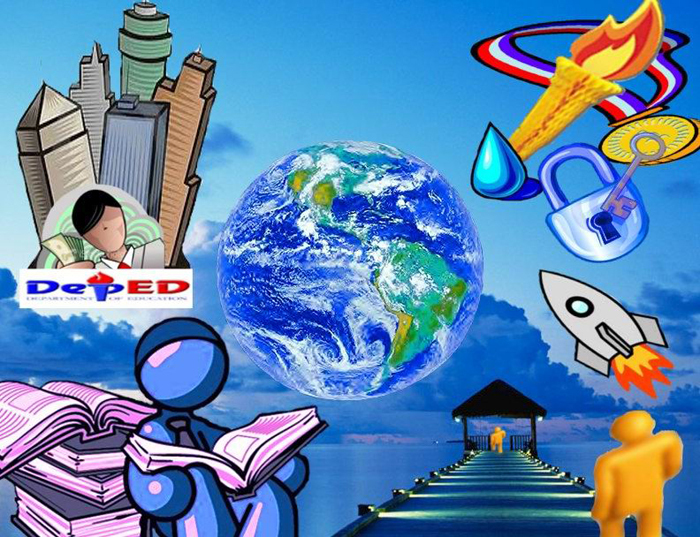 The profound value and character among members that overview to reach our goal in education because of united being provided by SEAMEO is unmistakable. Yes! Through Education itself, we do not just limit our learning's through the things we read and heard. It is also the application of molding ourselves for the future. Moreover, Education also made our minds widen. Just like how we find ways to solve the trials were facing.It is like SEAMEO Education that has been the gates to our guide in life. But always remember,"Poverty is not a hindrance to success". Nothing can stop you if you have the hardwork, patience and determination to achieve your goals and to become, somehow, a somebody in the near future. 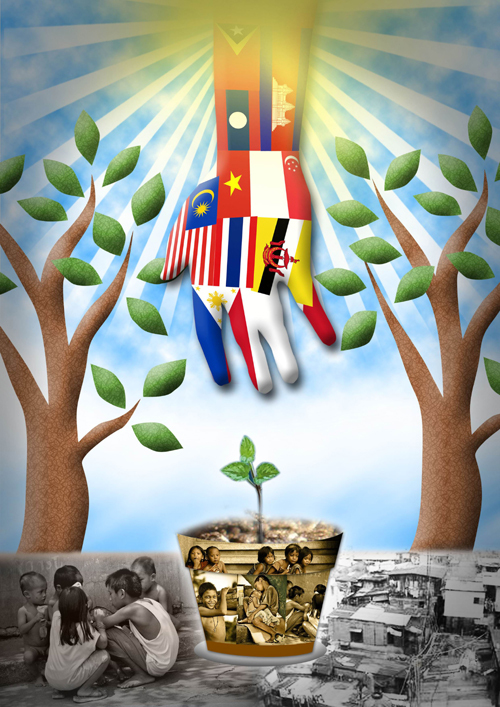 SEAMEO members are at the "Golden Age" of promoting ways to uplift the quality among its members and a sign of unity. How delicious life would be with success? 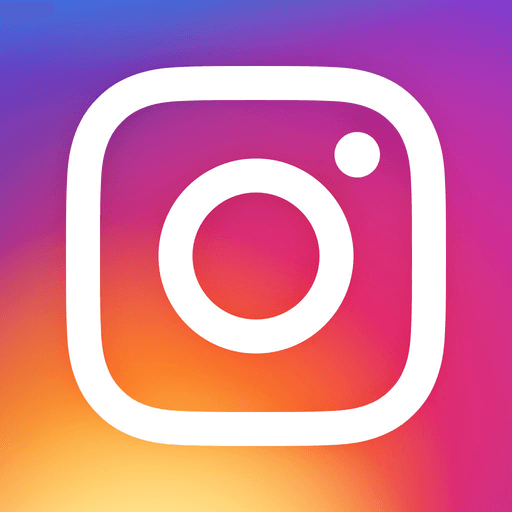 How tempting is it to become a professional? Let us always put it in ourselves that nobody, no one, not our parents, friends or inspiration will put us to the top among SEAMEO members. So let us always put this inside our heads and stuck this into our hearts that Education is the only thing and the only way that we would grasp, grab and get everything we want. And no one could ever bring us down. And to summarize up. 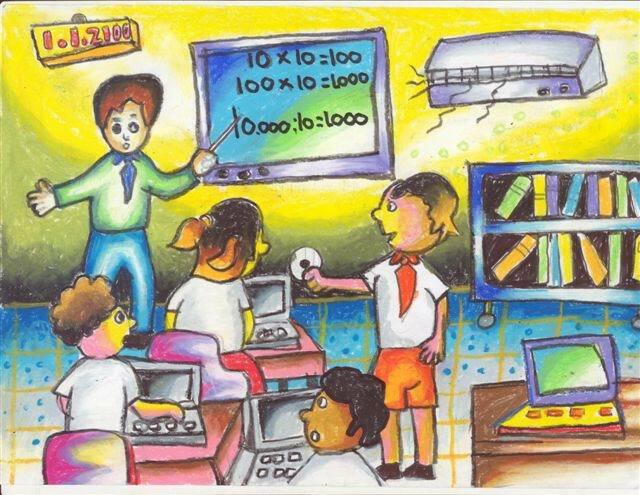 Never underestimate the power of SEAMEO Education!" 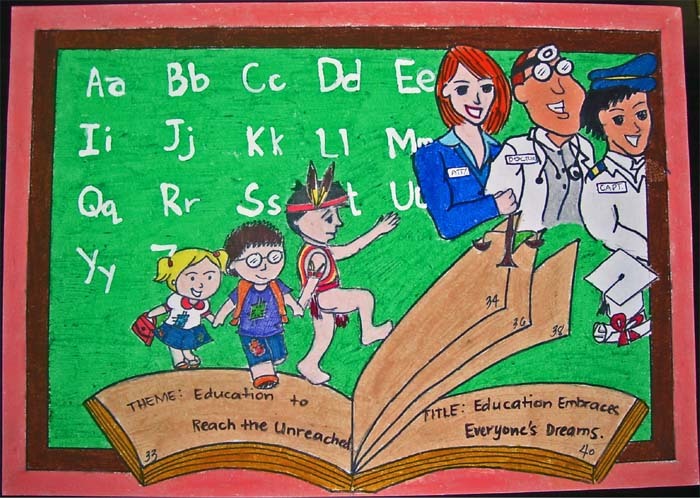 "My drawing shows how education is really important to one's life. As educator, we need to give knowledge and learning to all especially to those unreached children like orphans, beggar and many others. We need them not only to our country but for all over the world. 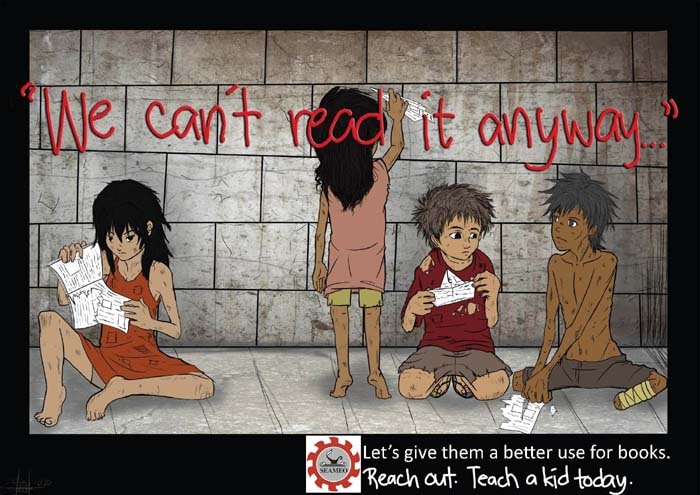 They should realize that if one person has its own education he/she can reach any unreachable things in life." 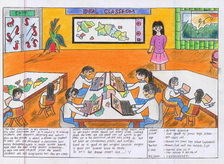 "The art depicts various children of Asian culture in which dreams to have quality education in their lives and make it as an important foundation for the global partnership and camaraderie.Social competence with discipline and especially the world peace will greatly be the result of the education that reached the unreached." "A child of a fisherman helps his father to catch some fishes from the sea. He hopes that he can catch as many as fishes he can so that he can go to a school.He wants to go to a school very much but his family is very poor to send him to a school." 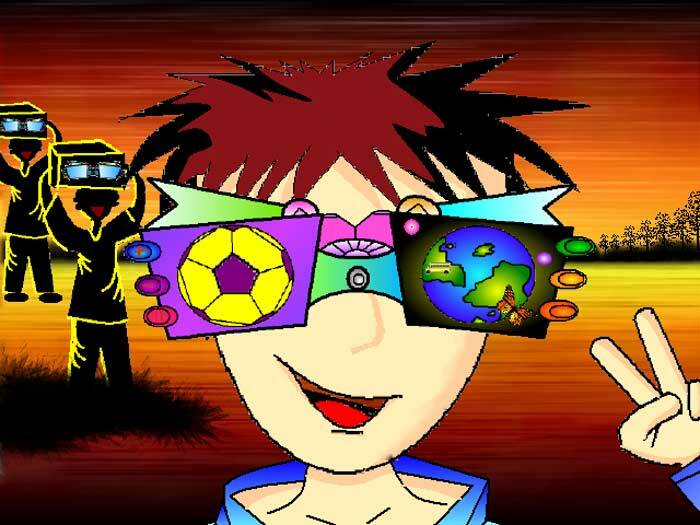 "Night vision, telescope, microscope, communications, music, teaching, games and camera." "Children from ethnic minorities, poor families and remote places are only some of those who do not have the access to go to school where they can learn how to read and write. Likewise they lack opportunities to develop their skills and abilities. However organizations, private agencies and individuals build bridges to help these children reach their dreams." "CNN-voted hero, Efren Penaflorida came up with a very good idea on having education on wheels --- via the "cariton".The "cariton" is the Philippines' simplest yet most effective way of reaching all outskirts, even roads unreachable by motorized vehicles. Education is the most valuable treasure which we could give to our unfortunate children, and it is through the "cariton"that we could reach children all over. 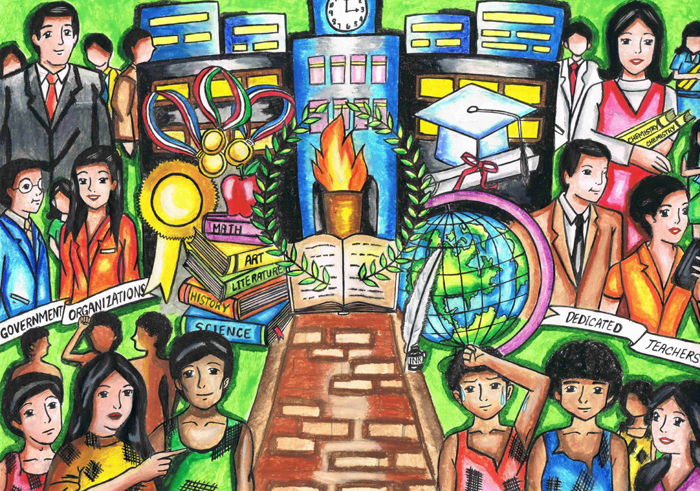 For after all, education is for all." 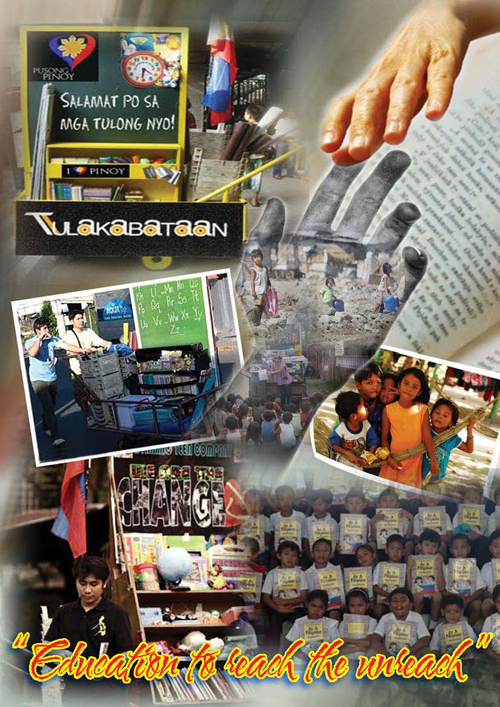 "PUSH is a poster inspired by the works of Mr Efren Penaflorida who has been named 'CNN Hero of the Year in 2009'.The push cart education symbolizes the efforts to reach the people who can not afford to cope up with the regular classroom situation due to many reasons. The advocacy is to "Persevere Until Something Hope". 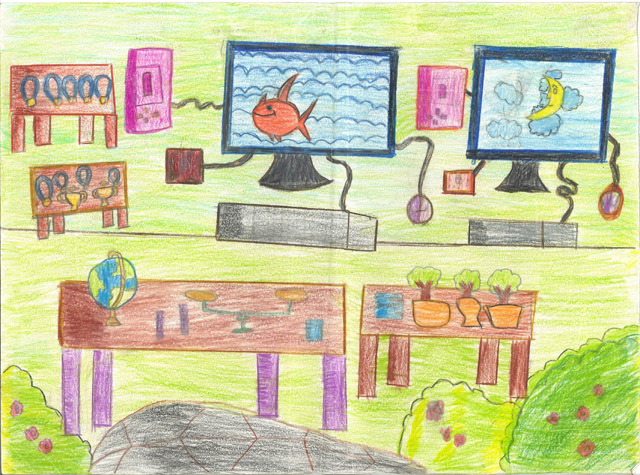 "This Electronic poster shows that there was always a hidden solution in our problems. So before I do this Electronic poster I think what could be our theme's meaning and I realize that when we use our intellectual skills, it may serve as an instrument to reach the unreachable dreams. By the help of DEP-ED, they can give us free education to reach what we want. They also give moral support for our plans and decisions. It also shows that the only solution is the education and our own determination." "This drawing tells about a child or fisherman. He lives from the fish and his father does not earn enough for their living. The child needs education very much but his family does not allow him to go to school because his family is very poor. In that small country, only rich children can go to school."